WASHINGTON — President Donald Trump, who doesn't regularly read the daily intelligence summary prepared for him, is also participating in relatively few in-person briefings from his intelligence agencies, according to intelligence officials and a review of his schedules. Trump has also done that publicly. Last week, after intelligence officials publicly contradicted him, Trump tweeted that his top spies should "go back to school," and in an interview with CBS News Sunday, he acknowledged that he frequently disagreed with his intelligence advisers. When Trump believes something to be true, U.S. officials tell NBC News, it's extremely difficult for them to dissuade him, even if they have a mountain of evidence he is wrong. And when he doubts something they are telling him, he often requires iron-clad proof of a type that is rarely available from intelligence collection. 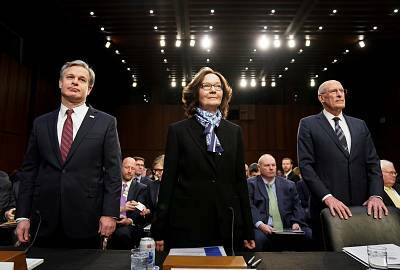 "This is the first president that the intelligence community has had to deal with whose instinctive departure point is not the truth," David Priess, a former CIA briefer, said on MSNBC. "He goes from his belief first." Trump has been taking in-person briefings about as often as former Presidents Barack Obama and Bill Clinton, according to Priess's research. Obama, in fact, was criticized in conservative media for failing to take a daily in-person briefing. "We have no evidence that Donald Trump is reading his president's daily brief on the days when he's not getting briefings," Priess said, "whereas President's Clinton and Obama, and all previous presidents, spent a lot of time either reading the presidents daily briefing" or discussing it." Two former senior intelligence officials told NBC News that Obama was an avid consumer of the Presidential Daily Brief. When he sought an in-person briefing, they said, it was generally about something else. "Obama's in-person briefings were not about the PDB," one former official said. "They were about other issues that came up or things he wanted to ask about." Intelligence was a key facet of Obama's decision-making process, they said, as exemplified by the decision he made to order the raid that killed Osama bin Laden after careful weighing of uncertain intelligence assessments. Trump's approach was on stark display last fall after the CIA concluded that Saudi Arabia's crown prince had ordered the murder of a journalist, but lacked definitive proof of the prince's direct involvement. Publicly, Trump derided that CIA assessment as "feelings." The news site Axios obtained 51 of President Trump's daily internal schedules covering a period from Nov. 7, 2018 to Feb. 1, 2019. The calendars showed a daily intelligence briefing for the president 17 times over the 12-week period. The internal schedules align with the president's public schedule over the same time period, and U.S. officials did not dispute that they were generally accurate as to the frequency of intelligence briefings. During that nearly three-month stretch, the president made a series of consequential national security and foreign policy decisions, including announcing withdrawal of U.S. forces from Syria and quitting a nuclear arms treaty with Russia. It is unclear to what extent he had been briefed by intelligence officials before making those moves. In the case of Syria, Trump's intelligence chiefs last week contradicted his assertion that the terrorist group ISIS had been defeated there. In a statement, Maura Beard, spokesperson for the Office of the Director of National Intelligence, said, "The referenced general schedule does not account for the totality of engagements the Director of National Intelligence and the Intelligence Community have with the President and the White House on national security issues." Jeremy Bash, an NBC News security analyst and chief of staff to Leon Panetta at both the CIA and Defense Department during the Obama administration, said it was dangerous for the president not to be ingesting the latest intelligence daily. "Intelligence is a 24/7 business," he told NBC News. "Information changes on a daily or hourly basis. If a President turns this into a PMB — a President's Monthly Brief — he will miss critical information necessary for sound decision making." When asked if the president received more briefings beyond what is shown in his public and private schedules, White House Press Secretary Sarah Sanders pointed to what she called the president's "different leadership style than his predecessors," and said "the results speak for themselves. While he spends much of his average day in scheduled meetings, events, and calls, there is time to allow for a more creative environment that has helped make him the most productive President in modern history." Special Assistant to the President and Director of Oval Office Operations Madeleine Westerhout denounced the leak of the schedules in a tweet, writing "What a disgraceful breach of trust to leak schedules. What these don't show are the hundreds of calls and meetings @realDonaldTrump takes everyday. This POTUS is working harder for the American people than anyone in recent history." In the wake of the 9/11 attacks, President George W. Bush got an intelligence briefing nearly every day. But that was an anomaly in modern presidential history, said Priess, author in 2016 of "The President's Book of Secrets: The Untold Story of Intelligence Briefings to America's presidents from Kennedy to Obama." Presidents Johnson and Nixon rarely saw their CIA directors or senior intelligence officers for anything, much less to brief the PDB, Priess found. Presidents Jimmy Carter and Ronald Reagan discussed the daily book with their national security advisers, not CIA officers. Trump is annoyed by the lack of certainty that is inherent in most intelligence assessments, U.S. officials said. 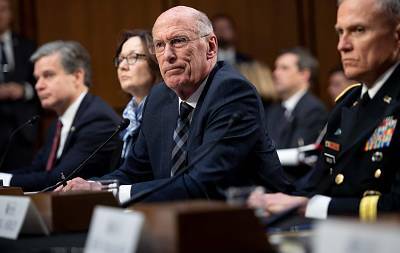 He looks to his intelligence leaders for concrete information, when most assessments are based on varying levels of confidence rather than hard evidence. Without that certainty, Trump frequently questions and disagrees with findings of his intelligence agencies, at times even questioning their reliability, the officials say. He asks questions throughout his briefings, often jumping from one topic to another, they say. Trump has been publicly at odds with his intelligence chiefs on key policy issues, from ISIS to Iran and from North Korea to Russia. Last week during the annual Worldwide Threat Assessment Hearing, CIA Director Gina Haspel told the Senate Intelligence Committee that Iran was in compliance with the Iran nuclear deal, despite the president's insistence that it is not. 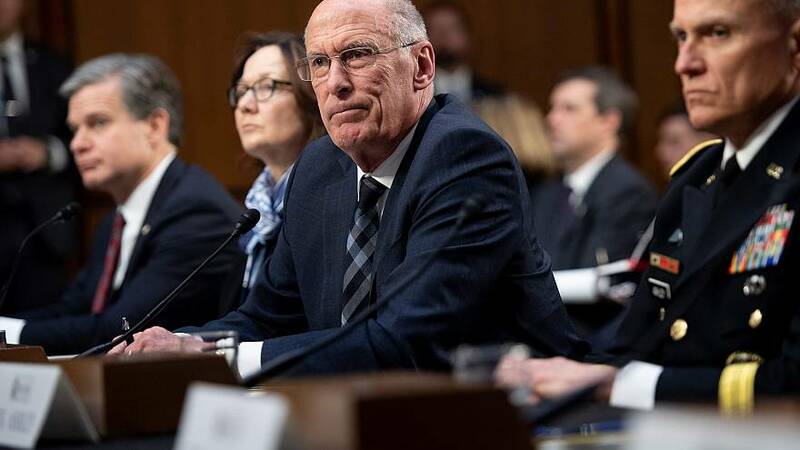 Director of National Intelligence Dan Coats testified at the same hearing, telling the committee "North Korea will seek to retain its WMD capabilities, and is unlikely to completely give up its nuclear weapons and production capabilities." Trump fired back over Twitter, writing, "The Intelligence people seem to be extremely passive and naive when it comes to the dangers of Iran," adding "Perhaps Intelligence should go back to school!" The next day, the President said he spoke with both Coats and Haspel, and told reporters during a spray with China's Vice Premier Lui He in the Oval Office, "They said that they were totally misquoted and they were totally — it was taken out of context." On Sunday, the president seemed to back off that claim, telling CBS's "Face the Nation": "They said they were mischaracterized. Maybe they were, maybe they weren't. I don't really know." He added, "I have intel people, but that doesn't mean I have to agree."